No matter where I go, when I look around I keep coming back to this truth. 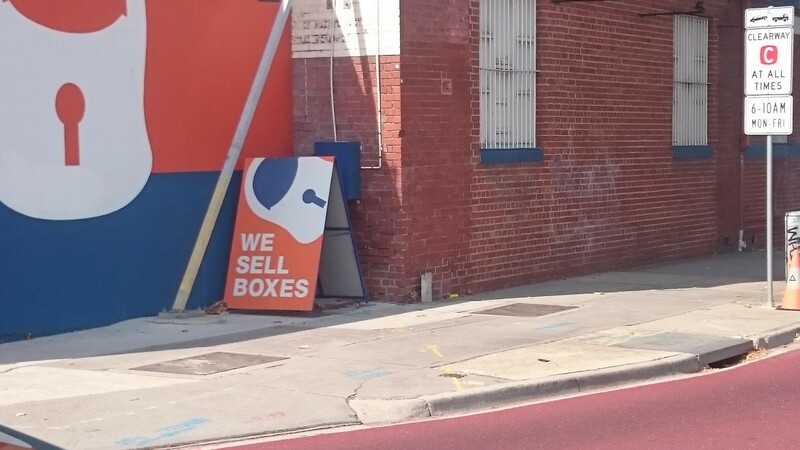 I can’t help but notice, everywhere I look, people living from box to box. Or going box to box selling new boxes, like set-top boxes or recipe-meal boxes. Or ordering food from a pocket-sized-box, food delivered in several boxes. Or maybe a box will appear in 3 weeks to satisfy a 3 week old urge to hold some new item you might use. All conveniently boxed up in a nice package. This is life, right? Very rarely is anything circular, yet it feels like everything should be. Cyclical, circular, distributed, like the cycles of the Earth. But we’ve become so boxed in, our vision is skewed. We’re box-eyed and hypnotised, convinced that creating endless boxes made up of that which we extract from our finely balanced cyclical system will stand tall as the monument to herald our glory. Look at what humanity did. Except, box-eyed and hypnotised, we can’t even see the massive pile-up that’s towering over us, looming as it’s all about to collapse down on us. Or maybe we can. But its like a giant game of Jenga that nobody's won or lost yet, and its so fragile now that no one’s even game enough to move, so for the most part it sits there like the elephant in the room. We all know its there. But we keep ourselves pacified by only looking as far as the walls of our box. Which ever one we’re in. Everywhere you spend your time. We’re so good at spending time boxed in that we’ve forgotten how to look outside the box. We have lost that 360° perspective that life is all about. No wonder we’re depressed and unfulfilled. No wonder we haven’t saved ourselves yet. The answers are outside of the boxes, and transit ways and pathways. We get to them by looking beyond the walls, beyond the window-dressings, beyond the billboards. Putting down the screen. When was the last time you looked around at the world outside and took in every detail 360° around you? When was the last time you really did that and let it sink in just how alive you are in this moment? Or how alive everyone around you is, and how amazing it is that we’re somehow even here on this incredible life supporting oasis of a planet? A planet that appears to be floating in an apparent abyss. An abyss that looks like a beautiful shade of blue awash with moving figures of cloud and a bright orb of light. Or at other times a star encrusted blanket over a dark black illuminated by a moon that shows only part of its face in an endless cycle. Dancing with the tides of the ocean that lap the shore of the land we are so lucky to have in this delicately balanced system. When was the last time you shared moments with a circle of others, who, whether you have met many times or never, share this crazy and incomprehensible reality with you. Until you end up lost. Maybe you have found this out. If you haven’t, can I make a suggestion? Go get lost, somewhere that might be just moments away from the path you find yourself taking everyday on autopilot. The one you know because you take it everyday. Go, now. “From what?” I asked it.